 What Bundled Payments Could Mean for Radiology - ONRAD, Inc.
DiagnosticImaging | The way you receive reimbursement for your services could soon transform. There are two problems, however: no one is sure to what degree it will change, and radiologists haven’t really had a voice in the conversation. In line with the Affordable Care Act’s goal of slashing care costs, CMS is studying whether bundled payments, also known as episode-of-care (EOC) payments, can largely replace the fee-for-service model for single illnesses or courses of treatment. As lump-sum payments, EOC reimbursement would tie these payments together with the facility and providers receiving a portion of the total. It’s likely these payments will include most of the imaging procedures done in-hospital. The testing ground for this model is CMS’s Bundled Payments for Care Improvement Initiative (BPCII). The agency is asking interested hospitals to test four new bundling-payment models and will use feedback to decide which groups of services can be easily moved to EOC payments. For radiology, this is a double-edged sword, said one radiologist who’s studied this topic for the past year. However, in his study published in the January 2010 Journal of the American College of Radiology, Steele also found EOC payment supporters believe this reimbursement structure will push providers to boost the efficiency and quality of their work. For example, closer attention to and a flat-fee payment for coronary artery bypass surgeries at Geisinger Health System in Pennsylvania led to a 40 percent drop in complication-related readmissions and thousands in savings. The looming question for radiology, however, is whether the industry can safely secure its fair share of reimbursement. So far, according to Steele’s study, radiologists haven’t been included in hospital discussions of how to best bundle services. Getting a seat at the table and advocating for your group should be your first priority, he said. And, there’s still time to weigh in on BCPII – hospital applications for participation are due on Nov. 18. Steele also recommended you stay abreast of EOC payment news. Read CMS press releases about any changes or developments, and seek out peer-reviewed journals not focused on radiology to find health policy studies. In addition, you could benefit from monitoring organizations, such as Prometheus, to learn about various payment models under review. Despite the uncertainty about potential drops in reimbursement, switching to EOC payments could also be an opportunity to change how you and others view the radiologists in the hospital, said Pamela Kassing, senior economic advisor for the American College of Radiology. Even if you don’t know how your practice could change, there are ways to position yourself, she said, so you don’t lose compensation. Getting hospitals to recognize you aren’t simply reading endless scans could also prompt facilities to make improvements for which you may have lobbied previously, Steele said. Administrators could move to revise imaging standards to increase the value added by and quality of radiology services. However, the lack of clarity around EOC payments has some radiologists worrying the change will have a long-term negative impact on the industry. Ultimately, he said, there could be fewer quality radiologists willing to work in facilities that bundle imaging payments. He advised radiologists nationwide to lobby against the health industry attitude that often treats imaging services as a commodity. But, it’s the uncertainty around how reimbursement payments will change that worries many providers the most, he said. ACR’s Kassing agreed the ambiguity about payment changes is unsettling. Practicing radiologists should be prepared for anything, she said. Both Steele and Kassing said it’s important to remember that nothing about EOC payments has yet been decided, and there is much discussion yet to come. Take advantage of any opportunity to voice your concerns and expectations to hospital leaders.